It was a story within a larger story about people who started new careers late in life. The woman was in her 80s or 90s and her nephew or grandson asked her why she was working so hard. “I’m worried about money,” she said and he scoffed. I love that attitude. The one that doesn’t see anything ridiculous in worrying about what you will do when you are 110! Attitude is more important than we frequently acknowledge. If I think I can, often I can. If I assume I can’t, well that’s a sure recipe for failure. In fundraising, attitude is even more important. I do a lot of board retreats and many of them are focused on fundraising. What gets in the way of board members is mostly their attitude. 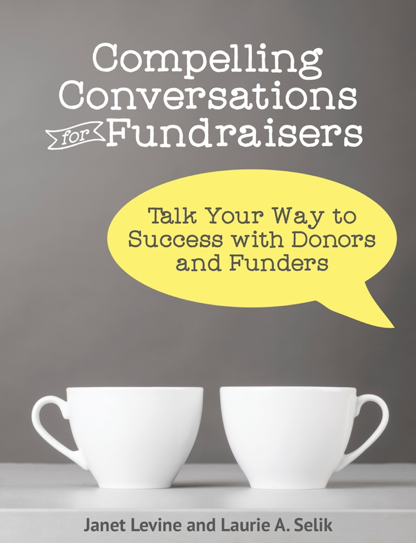 Fundraising, they think, is “hitting on” someone. It is offensive. It is scary. It makes them uncomfortable. If, however, we can change that attitude, fundraising becomes what it really is: An opportunity for someone to give to an amazing organization. It opens the door, invites the person in. But if I invite you in with an apology for asking you to enter a horrible place, how willing will you be to walk through that door? On the other hand, if my attitude is one of generosity and of joy in asking you to come on in, you are much more willing to join me. Likewise, an attitude that says I am comfortable talking about a gift with you makes your prospect far more comfortable also. It starts, of course, with clarity. If I ask you out to lunch and in the middle of that lunch I start to talk about a charitable gift, you would be within your rights to feel a little put out. However, if when I ask you out, I am clear that the purpose of this lunch is to talk about that gift, you have a choice. Yes, I’d love to or no, please don’t do that. On the fence? Then say so. Okay, I’m willing to hear you out, but do know that I am not at all sure about supporting your organization. Our attitude really does affect outcome. If I think I can’t, guess what? I probably can’t. But if I know I can, and if I know that my organization is truly terrific, I can ask you for a gift that will not just work for my organization but will make you, the donor, really happy about the gift you gave. This entry was posted in fundraising and tagged attitude, generosity, joy. Bookmark the permalink.